The Most Delicious Release is LIVE! 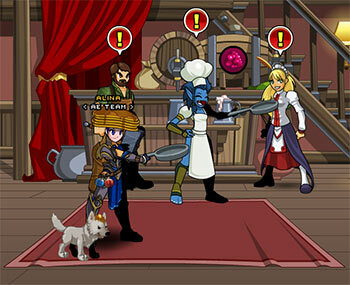 The Grand Master Lunch Lady Oishii has returned to Battleon bringing with her a few silly, pancake based items. You can find her in Yulgar's Inn until this Fridaybut watch out, you will probably get hit at random by her flying flapjacks of doom! Seasonal items are returning - like the Pancake Hat w/Butter and the Oolong the pancake bunny pet, and the fan-favorite Pancake Puppy pet!